Aquatech offers daily open water diving to the world's second largest barrier reef, just a five minute boat ride from the resort. You can see loggerhead and green turtles, sting rays and schools of tropical fish. Reef dives meet at 9:00 AM and 1:30 PM each day. One and two-tank dives available. The Mesoamerican Coral Reef stretches over 600 miles from the northern tip of Cancun, south to the islands of Honduras. This enormous coral wall is second only to the Great Barrier Reef in Australia. This wonderful creation lies just outside our front doors. We offer daily one or two tank dive trips to these beautifully decorated, still unspoiled reef systems, all less than 10 minutes away by boat. Visit Bad-Head Reef, Wonderland, Grouper Canyons, and Escuela, just a few of our local sites. The soft and hard corals, sponges, and crustaceans, like lobsters, crabs, and shrimp, make up this fabulous marine biodiversity. Both the loggerhead, green, and hawksbill turtles complete this underwater world. The Great Mayan Reef System runs along the Caribbean Coastline of The Riviera Maya. With the clarity of turquoise tinted waters, your diving will be more than inviting. With less than a 10-minute boat ride, you will discover over 30 different dive sites. You will also find the 80-degree water enjoyable throughout the entire year. Our boats are located on our same beach for easy access, so in no time at all, you are ready to plunge into this incredible world. If it is a night dive you are looking for, as a change of pace, we offer night diving with a minimum of four divers. For beginners to advanced divers, our nearby reefs offer something for everyone. We have beautiful dive sites at depths starting at 30ft. with canyon fingers running to 100ft. plus. Just off the coastline of The Riviera Maya, you will find an area of excellent dive sites, on Mexico's most favorite island in the Caribbean Sea. Cozumel Island is a true coral island and is known to divers around the world for its walls of beauty. We will be happy to organize your dive trip to the island of Cozumel. Please ask for information at the front desk. Also note that almost all the diving in Cozumel is moderate to strong drift diving so you will really move through the water. There are approximately 55 popular dive sites, some on the walls themselves and other shallower dive sites close to shore. 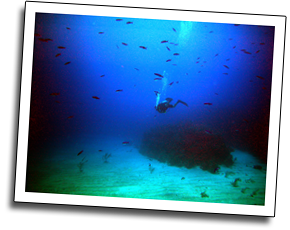 More divers dive in Cozumel than any other place in the world. 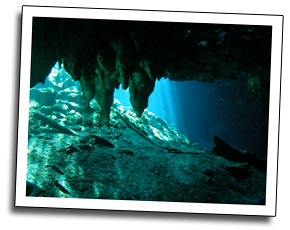 All certified open water divers can dive the fresh water caverns of the Yucatan, called "Cenotes" . These caverns are windows of the numerous underwater Aquifer systems of our unique region. Our cavern sites are all within 20 miles from Aquatech and each with easy access. These cenotes have crystal clear water with a shallow depth (20-50ft), and moderate water temperatures (77F), with little to no current, huge non-claustrophobic cavern passages that are truly a unique underwater dive experience. Let Aquatech's professional dive staff guide you through these awesome sites to enjoy the spectacularly decorated walls, ceilings, and floors. With 200ft+visibility in these sculptured subterranean passages, you can easily forget that you are scuba diving and instead feel that you are just floating through air. Aquatech offer dive courses ranging from Discover Scuba to PADI Open Water Course to the Advanced Technical Cave Training. Whether you want to take your first glance at the Undersea World, a simple, fun, and safe golden opportunity awaits as our waters are clear, warm, and full of amazing coral life or push the challenges of deep penetration in the amazing caves, Aquatech can provide safe training and experienced guides. Our staff makes diving fun because they love to dive themselves. 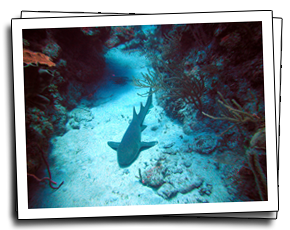 Come visit us on your next dive trip to the beaches of Aventuras Akumal.